Sensory Bottles are so fun and therapeutic! They can be calming and mesmerizing for children of all ages! 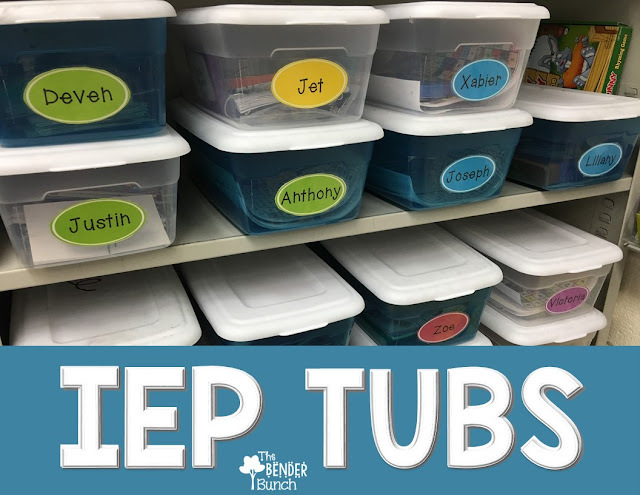 They serve as an excellent calming tool for anxious children and children that need help with self-regulation skills. 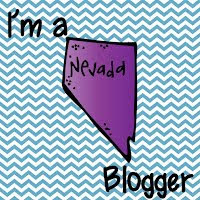 And they're so easy to make too and I love how creative you can be! The possibilities are endless! Sensory bottles don't just have to be liquid AND they make great inexpensive Christmas gifts too! Let's get creative and create some fun sensory bottles!! Since we're in the season of Christmas! 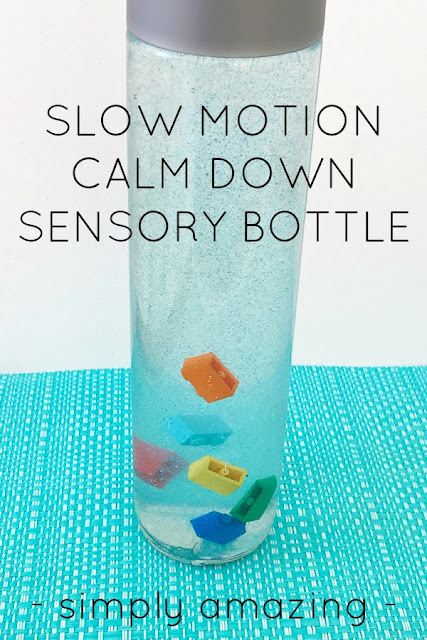 How fun is this sensory bottle from "Stir the Wonder?" All you need is a green Sprite bottle, some pom poms or other Christmas accessories, glitter, and a star for the top. Here's a fun snowman sensory bottle for the winter by "Little Bins for Little Hands". 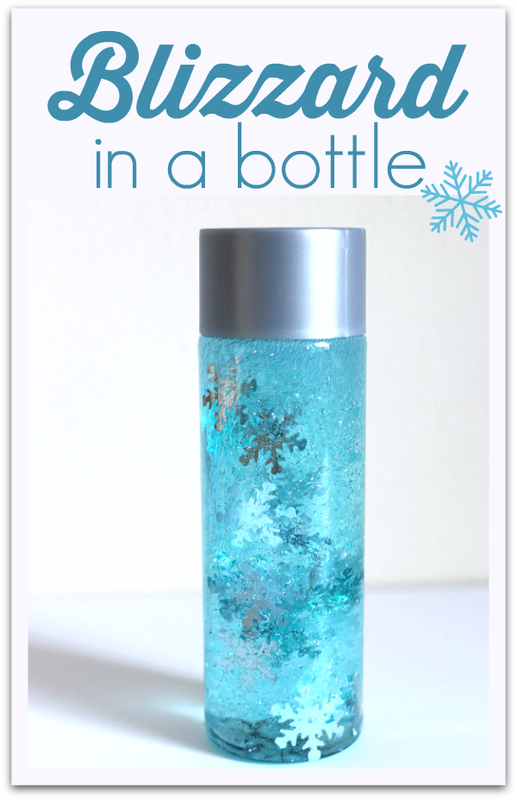 Another fun winter sensory bottle that just uses water, blue glittery Elmer's glue, and some snowflakes. This sensory bottle is from "No Time for Flash Cards." Spruce up any holiday in a jiffy with a holiday themed sensory bottle like this Valentine's Day one from "Rhythms of Play." This marble sensory bottle by "Ryan & Marsha" is a favorite, that's made using hair gel, water, and glitter...and marbles of course! Here's another fun slow motion sensory bottle using hair gel from "Childhood 101." 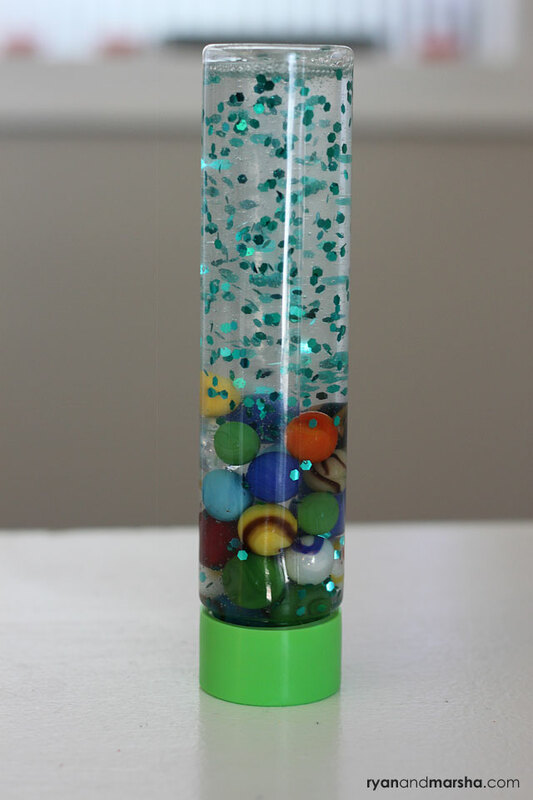 Water bead sensory bottles are always a hit and require little work to put together. Kids will love watching the beads absorb the water and expand! Learn more about these at "Parenting Chaos." And why not get magnetic! How enticing is this one!? Check these out from "Play to Learn Preschool." Put magnetic objects in your sensory bottle and give your students a magnetic wand or a magnet and let them play!! You can get magnetic wands here. And sensory bottles aren't just limited to liquid! 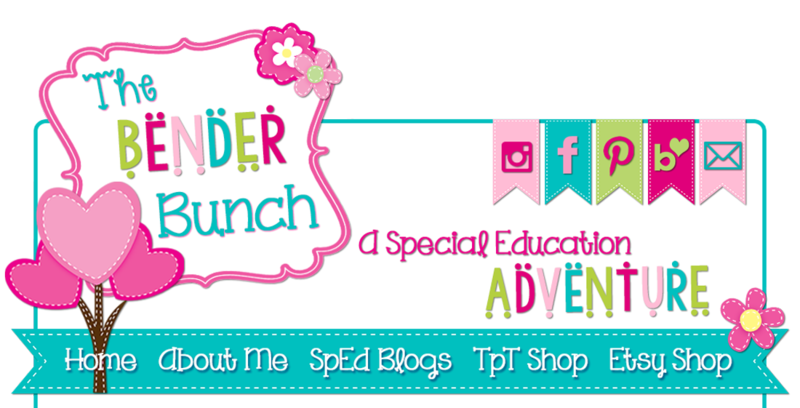 Fill your sensory bottle with rice and small hidden treasures that students have to find! Love this idea from "DIY Projects." I paid $25 for my "Original" "Find It" Games. These can be made for less than $10. 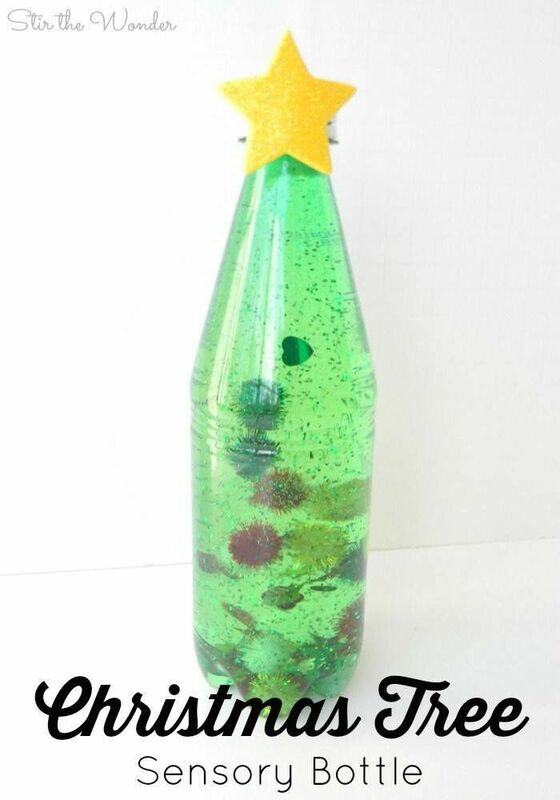 Another "dry" sensory bottle you can make without liquid from "Preschool Inspirations." Kids are sure to have a hay day shaking these up! 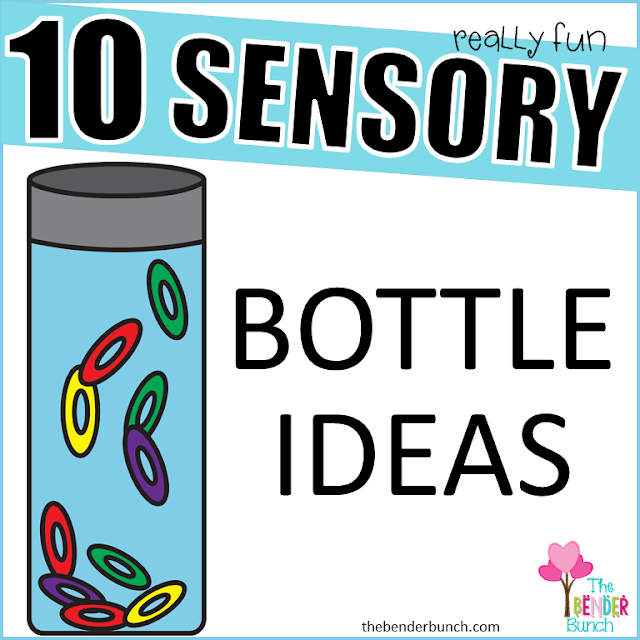 The possibilities are endless with sensory bottles! Be creative! Try whatever! I've made them with dish soap, corn syrup, baby oil, cooking oil, and even clear shampoo! You can't mess up! 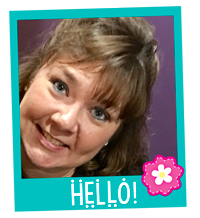 Just be sure to glue your lids on using super glue or a hot glue gun! And sensory bottles aren't just for kids! Who knows, you might just find them to be a calming tool for you as well! 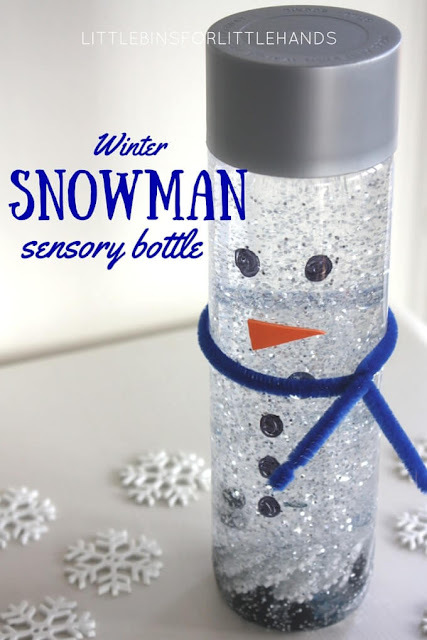 Check out my new Sensory Bottle Pinterest Board for more sensory bottle ideas!